Natural products for your home. 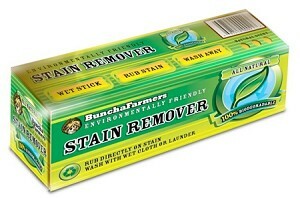 The ultimate natural stain remover. 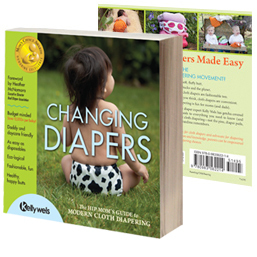 Works wonders (and is safe) on cloth diapers & mama pads! Simply wet the stick, rub it on the stain and then launder as usual. Note: This product may not be appropriate for those sensitive to strong scents. Please do not ingest or use around food, keep out of reach of children and pets, and make sure you rinse or wash clothing and surfaces thoroughly after use. Packaged in trial size 2oz Packets. 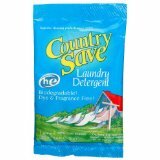 Enough detergent for 1 full size top load washer or 2 for HE washers. Perfect size to try or to take while traveling. 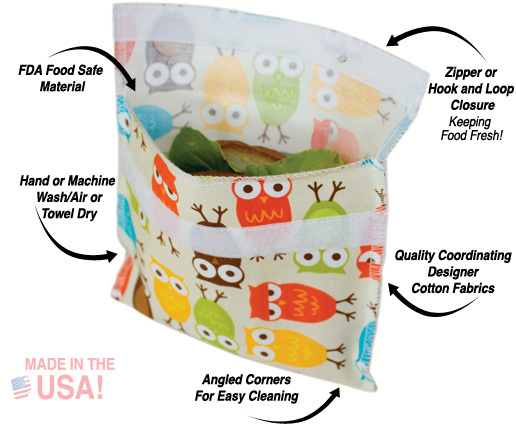 These scoops are custom-made for cloth diapering families! They are pre-measured to the amount of detergent typically used for washing cloth diapers. Now daddy or grandma (or anyone else!) can easily help wash diapers without fear of using too much or too little detergent. And for you, it makes it super easy to add just the right amount. Our scoops also feature an extra long handle to make it easier to reach the bottom of your detergent box! 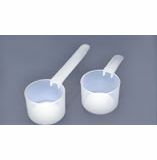 Scoops are 2 Tablespoons with a mark at 1 Tbl. A heaping scoop equals 3 Tbl. Can be used for powder or liquid detergent and for top-loading or front-loading machines. 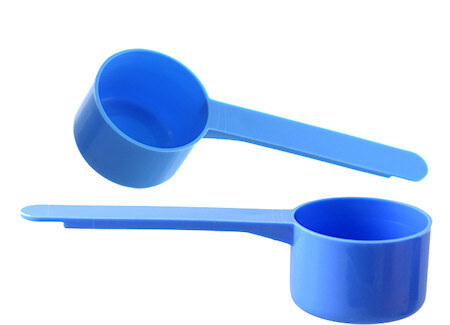 Your choice of a Blue or Clear Scoop! Eco Nuts are completely sustainable dried fruit shells that come from the Sapindus mukorossi tree (also called the Soap Berry or Soap Nut Tree) in Nepal, India and Indonesia. The ones we harvest come from high up in the Himalayas and are the highest quality "soap nut" on the market. These fruit shells have been used in India and China for centuries, and are now gaining popularity in America and Europe as a renewable, biodegradable and organic alternative to chemical detergents and expensive Green laundry soaps. Eco Nuts contain Saponin, a natural cleaner that works as a surfactant, breaking the surface tension of the water to penetrate the fibers of your clothing, lifting stains from the fabric and leaving dirt suspended in the water that is rinsed away. Eco Nuts are gentle on both clothes and skin, making them ideal for those with sensitive skin, eczema, allergies and psoriasis. Because they are so mild, they are perfect for baby clothes and cloth diapers. 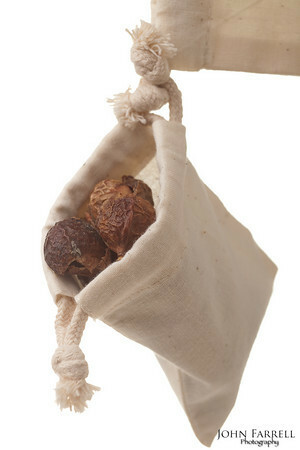 All-Natural Eco Nuts are also great for septic and grey water systems. But don��t expect these shells to foam up like commercial soaps, which have artificial foaming agents. Foam simply does not represent cleaning power. Eco Nuts are wild-harvested, meaning they are gathered from wild trees grown without any kind of chemicals, fertilizers, or pesticides. The Saponin actually tastes bad to insects so no pesticides are needed, and the trees naturally love poor uncultivated soil. They are organically grown by mother earth and certified USDA Organic by EcoCert at the source. Eco Nuts are Nut Allergy Safe! Eco Nuts are actually a berry fruit related to the lychee and are not nuts at all. They are completely nut allergy safe and have been used successfully with no reactions by people with nut allergies. They earned the name "nuts" because they dry into hard shells like nuts instead of squishy fruit. 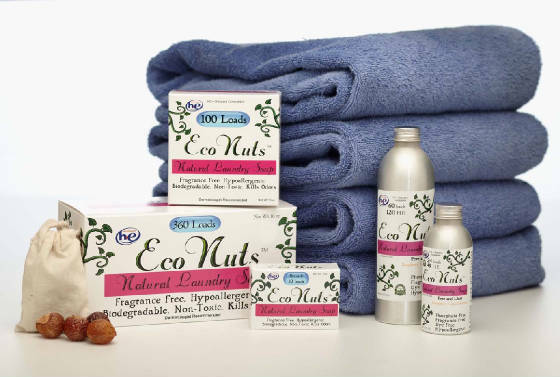 While Eco Nuts has been a terrific solution for many customers with skin allergies and other conditions, people who have many allergies or compromised immune systems should always take proper precautions and first wash one small item in a small container or sink OR do a patch test before washing an entire load in the washing machine. Our proprietary sorting process also ensures a consistency in shape and texture that makes Eco Nuts pleasant and easy to use. 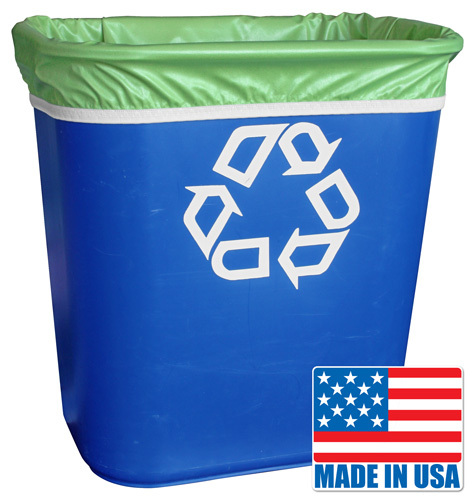 Because we lovingly and carefully hand package in the USA, we can also eliminate individualized plastic wrapping otherwise required by customs. In addition, many regular soap nuts are harvested, sorted and prepared in the outdoors, and dried on a rooftoop. This exposes them to the elements and birds or other animals! We take great care to ensure our soap nuts are carefully prepared and stored indoors in a clean facility. Our soap nuts are carefully sorted using our proprietary process to ensure they are free from contaminants before they are packaged! After all this sorting and care, those soap nuts become Eco Nuts! We are currently the only soap nut company that we know of to be utilizing these methods and technology both in the US and overseas to make these soap nuts safer. They are safe to use in both standard & high-efficiency (HE) machines on any water temperature. 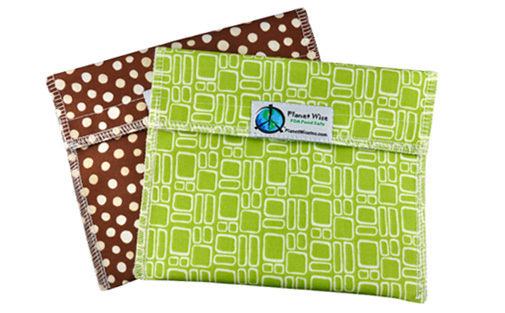 *Offered in 2 sizes: Trial Size (or travel) Comes with 1 Reusable wash bag, Instructions, and Eco Nuts for 10 loads. 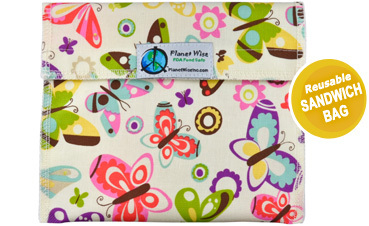 Medium Size Comes with 2 Reusable wash bags, Instructions, and Eco Nuts for 100 loads! Safe for all washers. LooHoo wool dryer balls are a natural, eco-friendly laundry product that helps circulate and separate clothing while tumble drying. 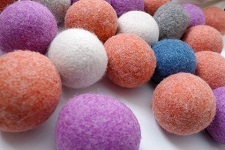 Each LooHoo wool dryer ball is made individually by hand using 100%, lanolin-rich wool. 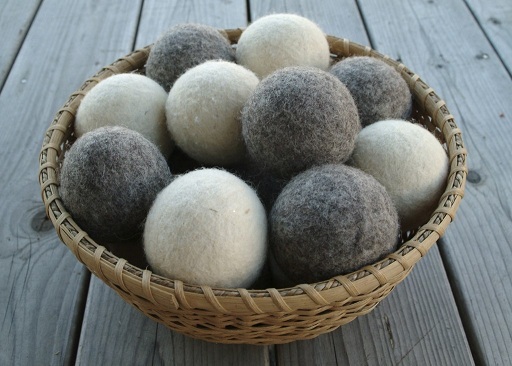 They are a safe, durable, high-quality wool dryer ball crafted right here in midcoast Maine. Each one is approximately the size of a tennis ball. The more LooHoo you use, the less time it takes to dry a load of laundry. Start with using at least 3 LooHoo and build up to having 6 � 8 to reduce your dry time by 10 -25%. Not only adorable, but a great way to go green! 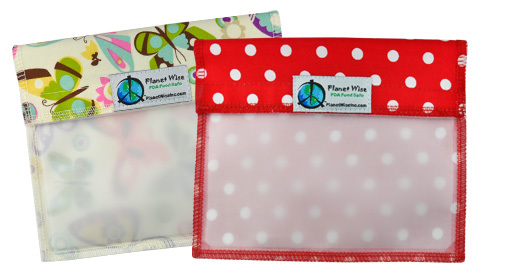 A great alternative to plastic baggies for a waste-free lunch/snack. Perfect size for fruit, snacks, sandwiches or leftovers. All have the Hook/Loop closure. Just Wash, Rinse & Reuse! *We are clearing out stock of these, they are the older packaging. Soft Rock: This is the formula designed for the most sensitive of customers! Designed for those with soft water, this formula is just the right mix of gentle cleaners to get the job done with less rinsing! Classic Rock: This is the original formula, and is great for those with moderate hard water, or just those that are battling with stinkies. Hard Rock: This formula is designed for the most troubling of water types. 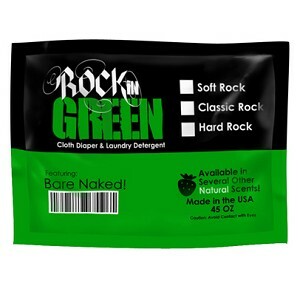 All Rockin Green formulas are designed with the same great ingredients, and work for all water types. Most people do great with the Classic formula, so when in doubt start off with that formula. Bare Naked Babies (Unscented)- Perfect for the sensitive skin & nose! Earth, Wind & Orchids- this scent is flowered with inviting hints of tartness, floral, woods, honeysuckles and sugar. Motley Clean - there's clean and then there's Motley Clean. This fresh blend has hints of ocean, fresh linen, and sunshine. Rage against the Raspberry- this raspberry and honey blend will have you running around the laundry room looking for the mosh pit! Smashing Watermelons - this juicy watermelon blend is like a kick to your senses. 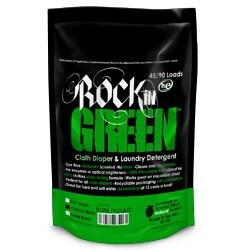 Not sure about a scent or never tried Rockin' Green before? This sample size bag will do 2 loads in a Top-loader and 4 in an HE machine! Unscented- Perfect for the sensitive skin & nose! Mighty Mighty Marshmallow - gives off the aroma of roasted marshmallows! Our wooden laundry scoop holds 1 tablespoon of laundry soap, which is exactly what you need for a load of laundry or cloth diapers! Also great to use along with our bath salts and milk baths!